Profile of the victim : Nageem was a muslim and the resident of Farrukhabad district in UP. While Priya 21, was a hindu and a resident of Kayamganj village in farrukhabad district. 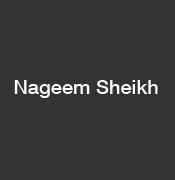 Murdered person : Nageem sheikh alias and Guddu. Assassination : As per the details of the case, Kayamganj resident Sanjay Verma brutally murdered his sister Priya (21) and her husband Nageem Sheikh alias Gudda on January 26 as the woman’s family was not happy with her marriage with a Muslim.